Does your stairway have a turn or intermediate landing? If so and you prefer or require a continuous run from top to bottom, we can design a custom stairlift to meet your particular needs. 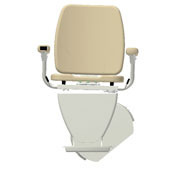 Our custom curved rail stairlifts include all the same features as our straight rail models. 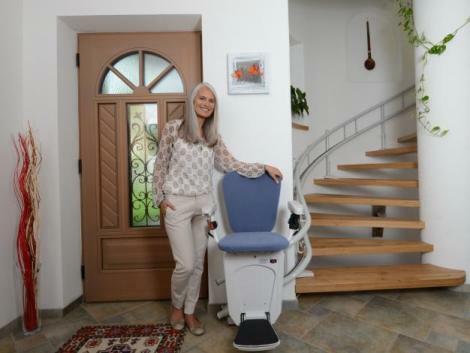 For you, a custom stairlift provides a safe, effortless way to access your entire home. 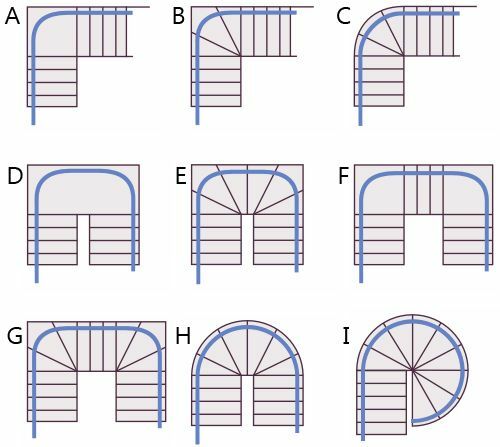 Below is a sampling of the various types of stairways that can accommodate a curved rail stairlift. If your stairway layout does not match one of these, no problem. 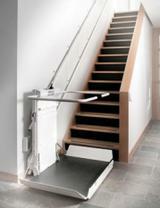 We can almost always design a stairlift to fit the unique features of any stairway. Not included, but we do offer installation in select areas. Please let us know if you desire installation and we will let you know if we service your location. Regain the full use of your home again! Ask for a fast free quote now.